Kota: Rajendra, son of Rama Naika and Baby Bai couple from Yadtadi village was suffering from a kidney problem since birth. But, after getting treatment for many years, he was living his life actively and was also pursuing his 7th std education at the local school. But, since a month ago, the problem has now affected his other kidney too. Thus, an active kid has now become bed-ridden due to ill health. 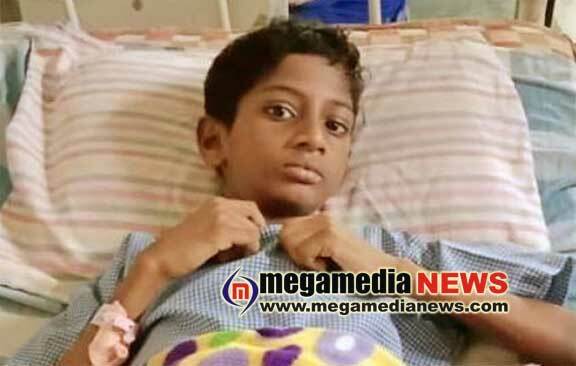 For additional treatment, the boy was admitted to a private hospital in Mangaluru and the doctors have informed that Rs 6-7 lakh is required to provide further treatment to the child. Since, already they have used the benefits of the various health insurance schemes of the government, presently they do not have any facility, informed a relative. Thus, the child’s parents who survive on labour wages are now in a fix. They are rushing towards anyone for help. It is being said that even then, there isn’t enough money to provide emergency treatments.